WOW, what a month! The desire to read has resurfaced in abundant measure! Plus, it is gift giving time, books as gifts – for others and for me! I feel like I was so impressionable and hungry for good reading this month. My standard MO is to read a (primarily the Sunday NY Times) book review, look for the book’s review on Goodreads, and then notate it as Want To Read, or my own shelf – Get from library. This month it was more: read the book review, look it up on Goodreads, see if it’s in the library Overdrive listing. What? No? Buy it. I have also started to lean back toward buying the physical book. An e-reader just cannot replace holding the book, physically seeing the pages turn and having the pages move from “more to read” to “already read” to “so little to go” (which is sometimes a relief and other times sad because I don’t want to say goodbye to the characters.) I’ve also learned that is very important to me to be able to re-read the back cover to recall what compelled me to read this book in the first place. For Lovely Daughter – a Finance and Marketing major: Superforecasting: The Art and Science of Prediction, which is a chattily-written book that I thought she would enjoy because she is very smart in school but also street smart, common sense smart. I thought this would meld with her brain perfectly. She had a different opinion, and allowed her brother to take it! She received Why Not Me? as a replacement, at her request. Beading/Knitting/Creativity – Stringing, Winter 2016, Betsy Beads, Chevron Afghans, 50 Hats & Caps to Knit, Stringing Magazine Subscription, Beadwork Magazine Subscription. The most delightful surprise of this collection is the Betsy Beads book – a woman who combines knitting with beading. I am happy to have found this book, not really as inspiration for her ideas but as inspiration for doing my own thing. The most disappointing surprise was receiving the Chevron Afghans book and realizing that it’s all crochet patterns. 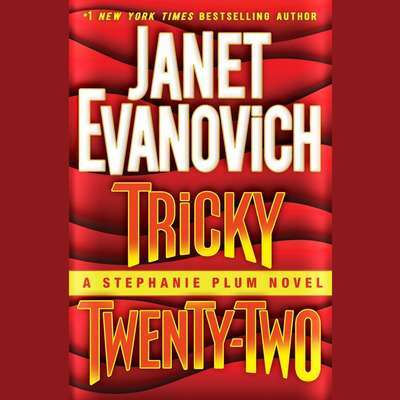 Book club related – our January book is Tricky Twenty-Two, selected as a light read for the busy holiday season; I had recommended The Sportswriter, and it was not selected. So I bought it to read on my own instead. Jennie from book club recommended Say You’re One of Them, but I have not read it yet. Kindle bargains – The Unfinished Work of Elizabeth D. and When I Married My Mother: A Daughter’s Search for What Really Matters…. I have not started either one yet. Escape to a different reality genre – Thrilling Cities and Black Box Thinking: Why Most People Never Learn from Their Mistakes–But Some Do. This is an odd category but both books really fit it. Thrilling Cities is by Ian Fleming (yes, of James Bond fame) and was written in the sixties. It’s his take on different cities. I thought it would be well-written and interesting – (1) to see his perspective and (2) to see how much the cities have changed since it was written. I’m only a few pages in so can’t report on it yet. Matthew Syed’s book fit this category in a different way – to see what mistakes I’ve made and how not to repeat them – give myself a different reality. I’ve only read the introduction so far, and some of that may be that I’m not quite ready for it. NY Times Book Review Gotta Have It – Ali Smith’s How to be Both. I’ve been drawn in to other reviews of this author, and have many of her books on my Goodreads Want to Read list. I just jumped in and bought this one. (I just looked for the article on the NY Times site, and I think it must’ve been mentioned in an interview – where someone is asked what he/she is currently reading. Although there is an article from June 2014 with the title, “An Onion of a Novel, Demanding to be Peeled.”) Oh, now I’m reminded that The Sportswriter is also in this category. Someone did mention this book in an interview in the Book Review section. All this purchasing creates a “burden” to read. Luckily, there’s time off for the holidays…The Reading Report will soon follow!